Vivor - Connecting patients with the financial assistance they deserve. 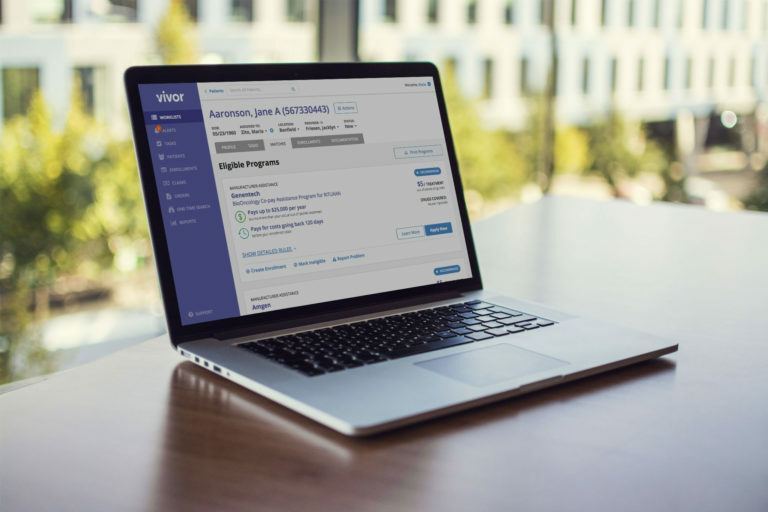 Vivor empowers health care providers to connect patients with the financial resources they deserve. with the financial resources they deserve. Vivor aims to improve your treatment experience. Learn how you can work with your provider to reduce your out-of-pocket costs. financial toxicity. Find out how your organization can improve patient experience and reduce bad debt. patients and financial assistance. Discover how our platform supports initiation and adherence. Vivor’s cloud-based platform connects patients to the financial assistance they need by helping providers to find and manage resources. Explore how your organization can join the growing number of Vivor customers. Patients with high-cost diseases risk experiencing financial distress that negatively effects treatment outcomes. Vivor has partnered with Duke Cancer Institute to study and address the growing concern of financial toxicity. Learn more below.